Hi loves, I guess it was about time to give you a little bedroom tour! 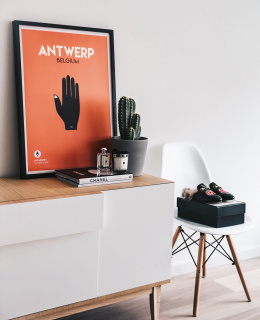 The boyfriend and I moved into our apartment in the centre of Antwerp about 2 years ago, after renovating it for over 6 months. I must admit that after all those months of hard work, we lacked the energy and time to put a lot of effort in the decoration of the rooms and finishing touches afterwards. We had all the furniture we needed but not the extra ‘je ne sais quoi’. 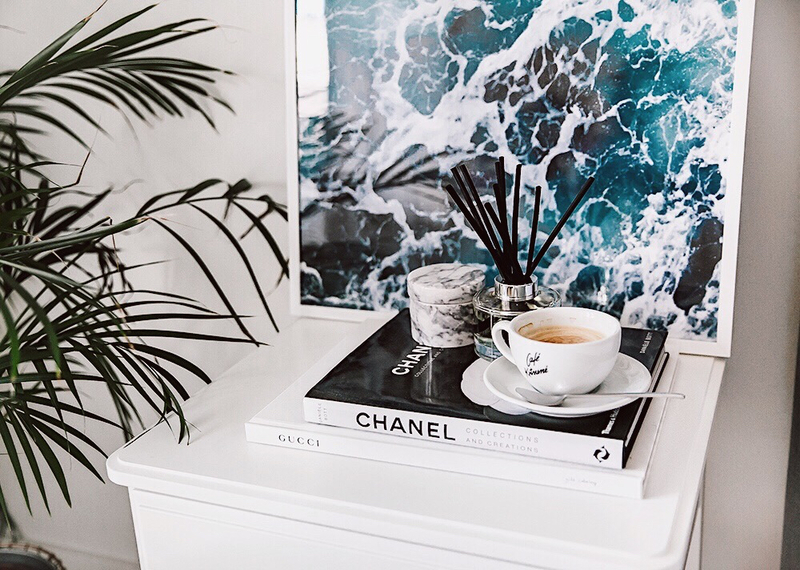 A few months ago we both felt it was about time to put a little extra effort into our interior; we finally took the time to install some nice light installations, got a lot of plants and yes I recently also ordered a lot of posters and frames at Desenio. It’s so incredible how much some nice artwork can change a blank wall into a home. I found the Desenio webshop via Instagram and was sold right away. All posters come in various sizes and you can of course mix and match the different designs with eachother, or just put them one by one. They offer a lot of fashion inspired posters but also amazing nature and animal shots, love it! On my nightstand, I also put a big blue ocean frame. I don’t know what it is but having various nature elements in my bedroom make me feel so calm and relaxed. Also the hint of blue brightens up this all white room with white closets a little bit. 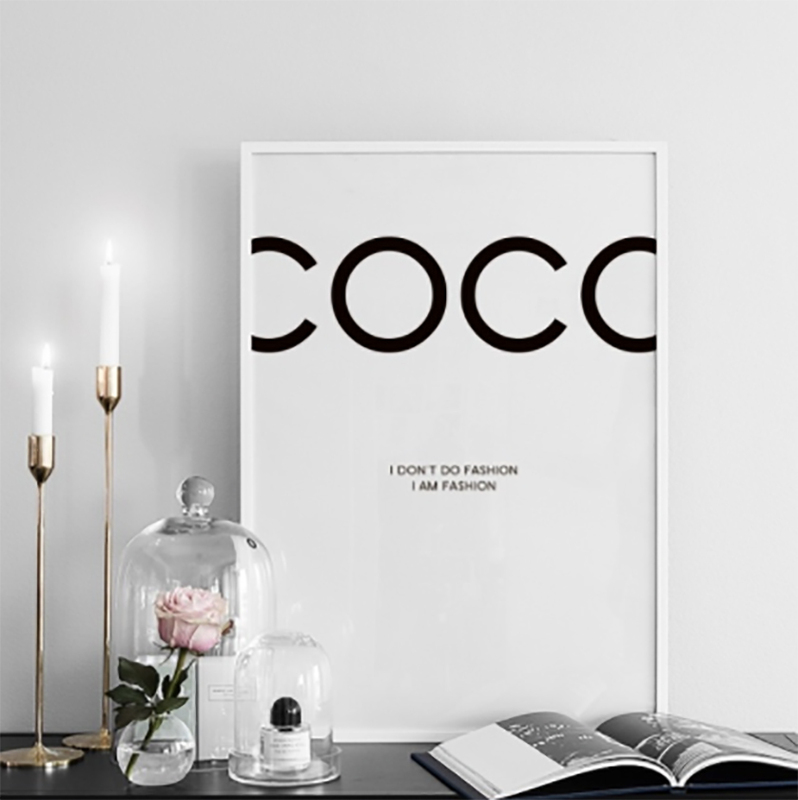 For my living room, I also ordered this cool Coco Chanel logo and LA palm trees in black and white. I’ve been to LA for 4 times now and obviously addicted to this always sunny place – might move there one day- so I couldn’t think of a better image to look at and be reminded of every single day. We’re planning on hanging these 2 on the living room master wall this weekend so stay tuned for some living room interior bits and pieces very soon! 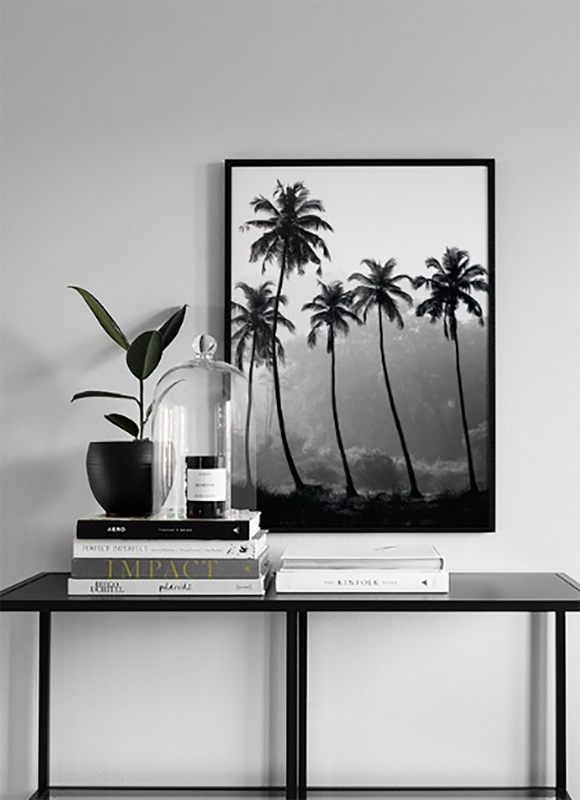 Excited to get creative with the Desenio posters and frames as well? You can now use my code ‘annabelpesant’ and get 25% off on posters between 9th and 11th of January, except for handpicked-/ collaboration posters and frames. 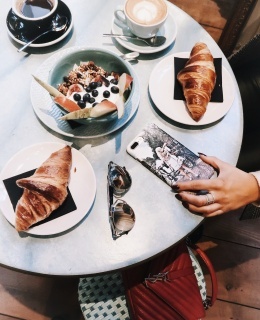 Je bent de aller eerste blogger waarvan ik echt een blog lees 😉 Ik weet dus ook niet of een reactie plaatsen normaal is of niet maarrrr ik wou toch eventjes laten weten dat ik het een leuke blogpost vond! Echt hele leuke kaders boven je bed en in je living. Moet ik onthouden! Lijkt me inderdaad rustgevend al die natuur elementjes.